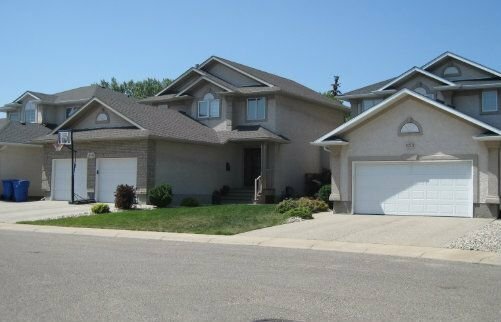 Search the latest Creekside real estate listings in East Regina below! Creekside, a modern, sustainable community was designed with the growing family in mind. This community is located in the ever popular east end of Regina bordered by Prince of Wales Drive to the east, Dewdney Avenue East to the south, McVeety Drive to the west and 7th Avenue East to the north. Creekside real estate lies in a newer community with homes built in the mid 1990s with a focus on economical, quality built homes for families looking to move up to a larger home as their families grew. The neighbourhood primarily consists of bungalows, two-storey and bi-level homes on quiet crescents, long curving drives and private cul-de-sacs. Check out the incredible Creekside homes for sale available below, or read more about this newer neighborhood in Regina's east end! Creekside is a peaceful neighbourhood with beautiful Parkridge Park in the middle of it. Take a stroll down the meandering pathways, splash in the spray park on hot sunny days, and the entire family can enjoy the play structure that was recently upgraded with rubber surfacing to make it accessible. Through the park your children can walk to Henry Braun School (public). For the teenagers, Johnson Collegiate (public) is located at 400 Fines Drive and Fleet Street. There are also Catholic elementary schools in the area. But, the big secret about Creekside is its proximity to Victoria Avenue and Hwy #1. There is a huge variety of retail and commercial services including restaurants, big box stores, Victoria Square Mall, major hotel chains, service stations and convenience stores just minutes away from the Creekside neighbourhood. If you want a quick 10 minute commute to work, Creekside is the place to live. The Ross Industrial Park, CO-OP Refinery Complex (Upgrader), Enbridge, and other major commercial businesses are all within easy commute of your home. 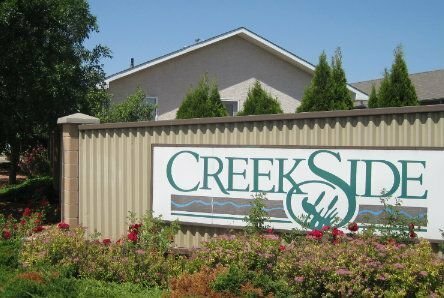 If you are looking for a quiet neighbourhood to raise your family or thinking of retiring, the housing in Creekside will please you. Are you interested in learning more about the latest Creekside homes for sale? Take a moment to contact the Tourney Group online or call 306-789-1700 to touch base with a qualified Regina real estate professional.